It’s been nearly 30 years since PowerPoint made its humble debut as an application for Mac computers. With a stroke of luck PowerPoint was picked by Microsoft and became a part of the Microsoft Office suite. 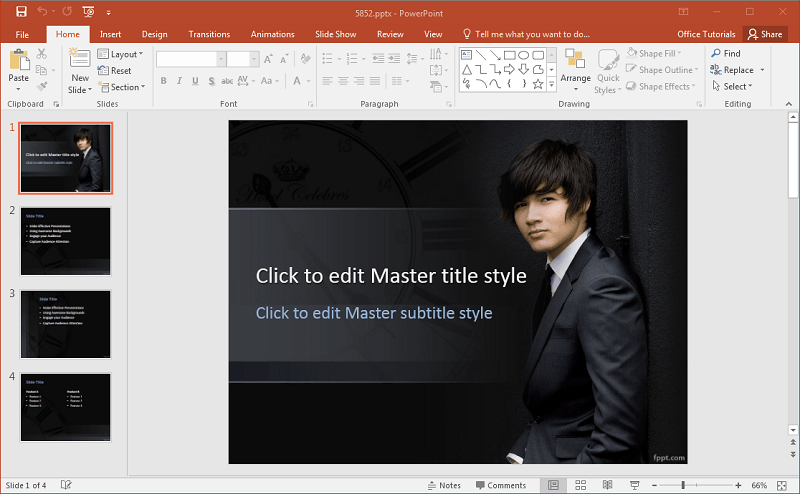 With an estimated 1 billion installations worldwide, PowerPoint is now doubt the leading presentation software with a range of default templates ready for use for the average presenter. This, however, also means that millions of business presenters end up using the same templates! 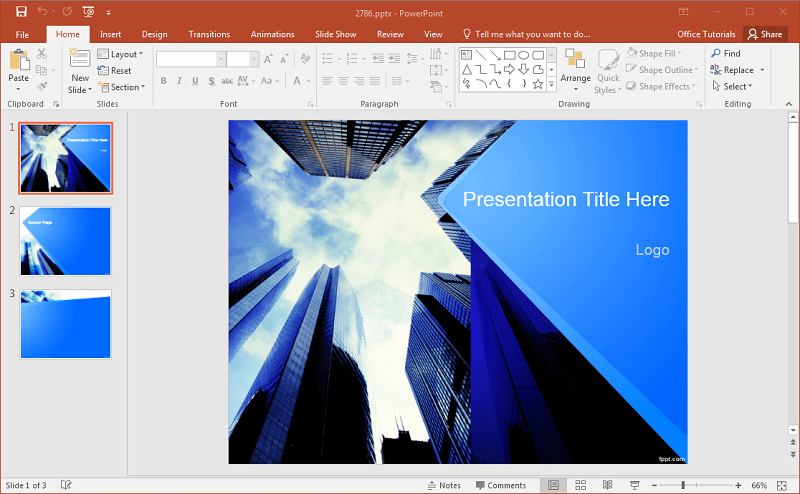 While many presenters opt for the default templates offered by Microsoft, they can add more visual appeal by using templates by third-party sources. The benefit of using such templates is that the slide backgrounds and layouts are less commonly used and can help make slides more professional looking. FPPT.com is one such website which has a mammoth archive of more than 10,000 Free PowerPoint Templates. With such a huge archive of professionally crafted templates available for free, monotony is the least of your worries. You can search through free templates by category, tags or via the search bar on the website. There are an endless supply of templates for virtually any topic you might need to work on. The free PowerPoint themes at FPPT have been designed to be generic so that presenters can mould them according to need. Moreover, the diverse range of templates are available for all kinds of presenters, be it business professionals, students, people working in NGOs or governmental organizations, etc. Thousands of Free PowerPoint Templates available for free download. Templates can be downloaded without sign up or any strings attached. Professionally designed templates with handy layouts. 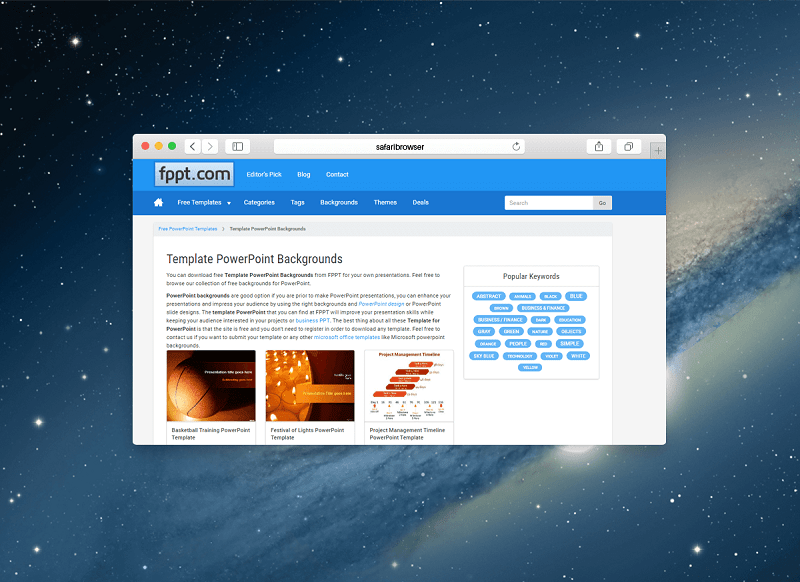 FPPT also provides reviews for third-party templates as an additional resource for presenters. FPPT contains an articles section with presentation tips, with guides on using presentation tools and techniques. Since the templates are free, they are usually not fully customizable. Most designs are quite basic and might need some additional work by the presenter to design slides. Templates come with a small watermark that needs to be hidden or removed. FPPT is one of the best resource for downloading free PowerPoint templates. The templates archive is more extensive than most third-party template providers for PowerPoint and is arguably more extensive than Microsoft’s own archive. However, you can’t expect the templates to provide flashy animations or over the top graphics. Nonetheless, FPPT can be a lifesaver for an average presenter, with an endless supply of templates for quickly making attractive slide decks. If you want more than what FPPT has to offer, you might also want to check out SlideModel, which provides thousands of premium quality presentation templates for PowerPoint, with fully editable slide layouts. Glad you found this resource, Lisa! Wow thanks alot for the cool templates. Which one do you like more, Kenneth? 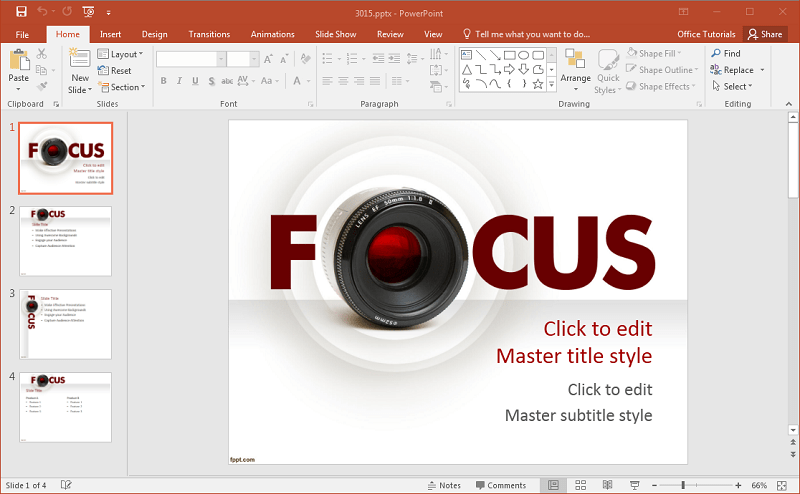 What a great and very helpful resource for powerpoint templates! 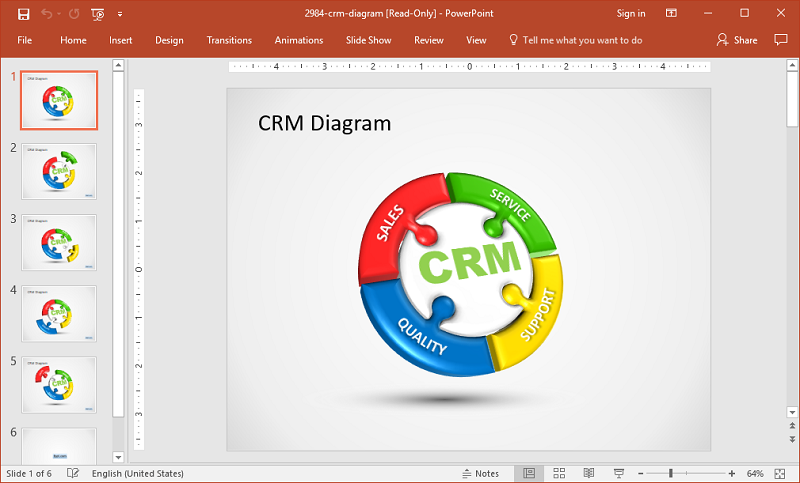 Powerpoint presentations are very helpful, especially when you do online marketing. They are a good way to teach and share detailed information to your niche audience. I’m checking these templates out! Thank you very much for sharing this man! but if i want to find some keynote template, do u have any suggestion website? I recently started creating presentations to share on SlideShare and was looking for some templates to get inspired. Stumbled upon this article and wow! There are tons of them. Thanks for sharing the website. Good to know, thanks for stumbling here! Even I use some of their templates for my college presentation. Thanks for sharing this website.